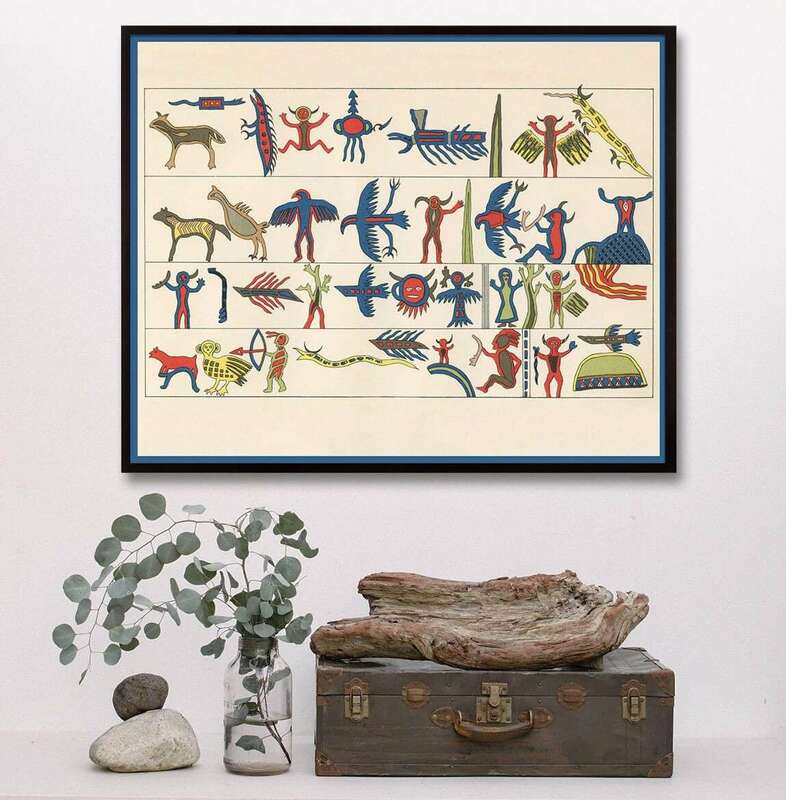 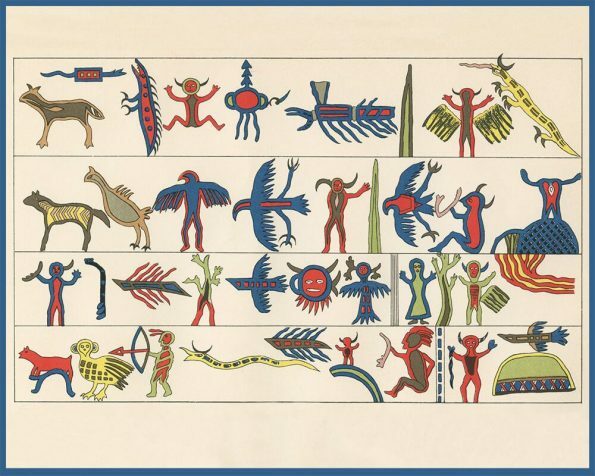 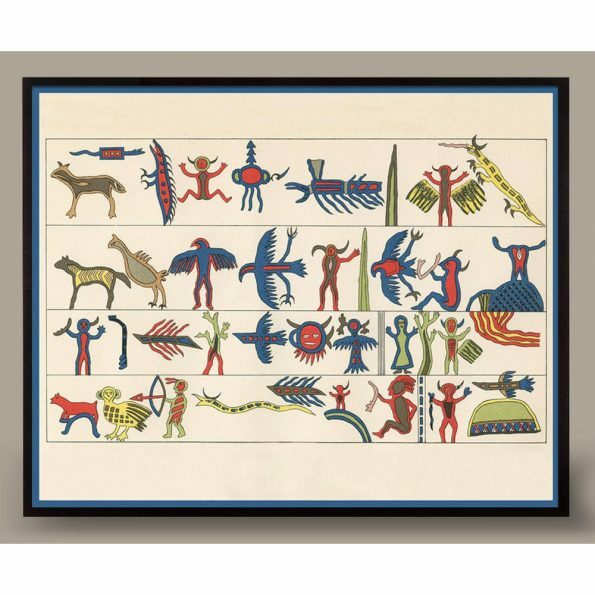 This is based on an Antique German Chromolithograph from 1896 depicting Native American Hiergoglyphs and Symbols. Vivid primary colors and fun playful illustrations. Outlined in a matching blue border.